Good On You - Fashion without Harm, try the new ethical shopping app. 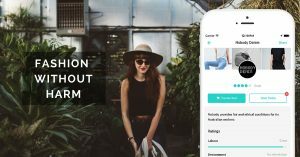 Good On You – Newly launched in September during Fashion Week – the new ethical shopping app! First launched in Australia and now in New Zealand the Good On You App could help change the way Kiwis buy their clothes. Ethical fashion is fast becoming a hot topic in New Zealand. “As Kiwis seek more information about the clothes they’re buying they’re finding it challenging to determine just how sustainable or ethical brands really are” says the Lead Catalyst of Sustainable Projects, Bec McMaster. 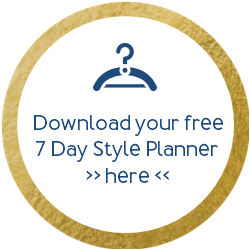 The app also tailors to people’s personal style, values and helps you find the closest retailer. But most importantly, you can send a message to brands inside the app, congratulating them or urging them to do better. This is a fashion activism! Fashion is self-expression, and it can be much more than just looking great. It can be an expression of our moral and ethical values via the products we buy. I often have clients ask me if brands are ethical, now with this app it makes these questions a whole lot easier & less time consuming, plus now when you are out shopping you can look for yourself. I also often say if you buy really cheap (and I don’t mean on sale items) then it quite likely isn’t ethically made, you really do have to ask yourself when you are buying a top for $8.00 if it has been ethically made. It may not make the top so attractive if you feel someone has been working on that garment in unsafe or inhuman surroundings to get that top to you. I’d love to hear your thoughts on this topic and do go ahead and look up the app, perhaps download if you are interested in supporting ethically made brands… it’s also a chance for you to have your say! Until my next blog, may the sun continue to shine.